The clergy of the diocese will gather to take part a conversation on “Living Faithfully in the Provisional” on Thursday, February 7, in DeWolfe Hall at All Saints’, Fort Worth. The conversation will be led by the Rev. 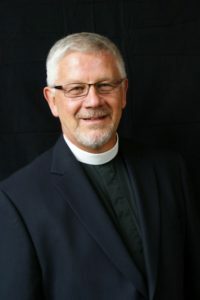 Martin Smith, who is well known throughout the Episcopal Church as writer, spiritual director, retreat leader, and teacher exploring contemporary spirituality. Smith was trained as a theologian at Oxford University, receiving his BA in 1968 and MA in 1970. After preparing for the priesthood at Cuddesdon College, Oxford he was ordained in the diocese of St Albans, where he served in two parishes before joining the Society of St John the Evangelist, the oldest religious order for men in the Anglican Communion. He served in the community in Oxford until he transferred to the North American branch of the Society in 1979. After completing three terms as Superior, he left the Society in 2002. From 2002-6 he was on the staff of the United States Holocaust Memorial Museum in Washington. He is the author of a number of widely read books exploring contemporary spirituality, including Reconciliation, A Season for the Spirit, the Word is Very Near You, Love Set Free, Compass and Stars, and Go in Peace: the Art of Hearing Confessions (with Julian Gatta).